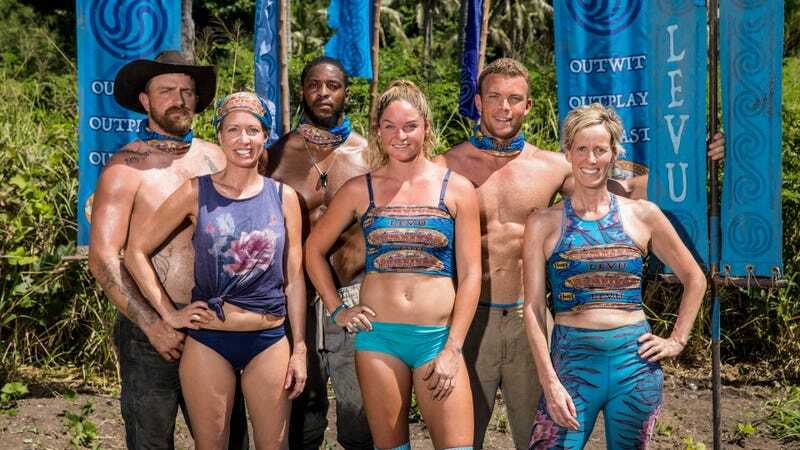 The Levu Tribe of Suvivor’s Heroes Vs. Healers Vs. Hustlers. Katrina Radke is in the front row, far right. Anyone versed in reality television competitions knows there’s nothing more embarrassing for those involved than getting sent home on the first episode. Just recently, Bachelorette Becca Kufrin sent a dude packing before the first night’s rose ceremony even commenced, which must be some kind of record. And then there’s Top Chef’s ninth season, during which no-nonsense host Tom Colicchio booted a cocky, young cook just minutes into the first competition for displaying substandard butchering skills. Those versed in the art of making reality TV, however, undoubtedly feel a touch of sympathy for these poor souls, as the casting process for these things spans months and often requires uprooting your entire life. Mel Magazine just dropped interviews with three contestants who were the first to go on their respective seasons, and what they all have in common is the rigorous, months-long auditions and physical and psychological testing that went into their involvement, as well as the tiny timespan in between finding out they made the show and the beginning of filming. Being cordoned in hotel rooms and utterly cut off from friends and family doesn’t help out, either. Katrina Radke, who was the first booted from Survivor’s Heroes Vs. Healers Vs. Hustlers season, feels better about her experience, if only because she feels her status as an Olympic swimmer put a target on her back. Also, she got to spend the next 42 days on vacation on location. “I was basically pampered for the rest of the time I was there,” she says. He’s not the only one. We’ve got plenty of reality TV horror stories in our Expert Witness series, a few of which you can read below. You can read the rest of Mel’s article here.